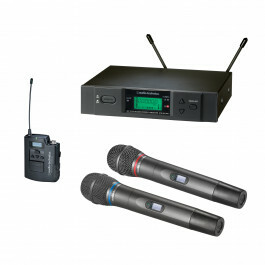 Digital 24-bit/48 kHz wireless operation for ultimate sound quality and dependable performance. 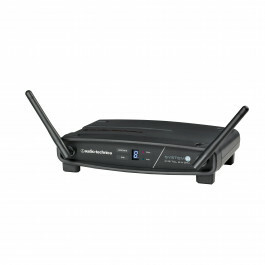 2.4 GHz range – completely free from TV..
Two independent receivers in a single housing. 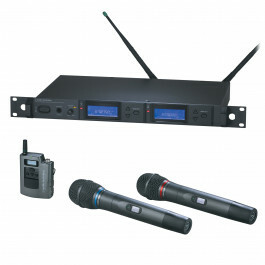 996 selectable UHF channels per band and True Diversity reception for interference-resista..
Audio-Technica’s 2000 Series is a 10-channel frequency-agile UHF wireless system designed to suit a variety of applications, including MI/..
Up to 1001 selectable UHF frequencies. 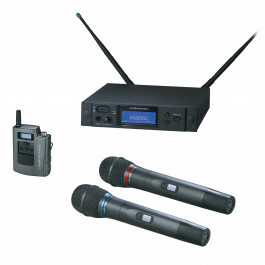 Antenna power available for powered antennas & other in-line RF devices. 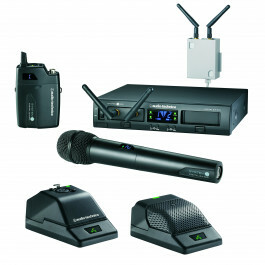 Nine pre-coordinated f..
Audio-Technica’s 4000 Series frequency-agile UHF bodypack and handheld wireless systems bring outstanding clarity and versatility to liv.. 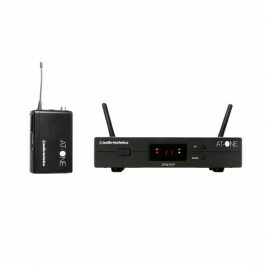 The System 10 Stompbox digital wireless receiver combines the advanced 24-bit operation, easy setup and clear, natural sound quality of ot.. 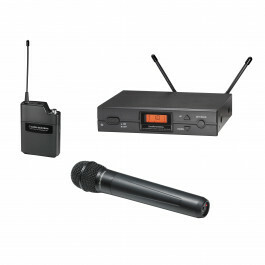 Designed to work with phantom-powered, condenser gooseneck microphones with a 3-pin XLRM-type output, the ATW-T1007 System 10 Microphone Des.. 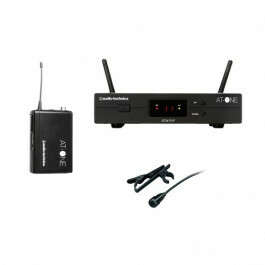 The Audio-Technica "System 10 Pro" rack-mountable digital wireless system is so simple to use, so dependable and so automatic that you'll ne..
2 x Joining Brackets. 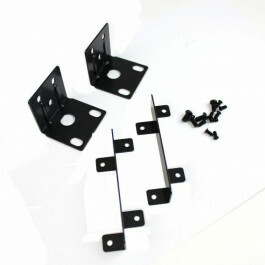 2 x End Brackets. Fixing Screws. 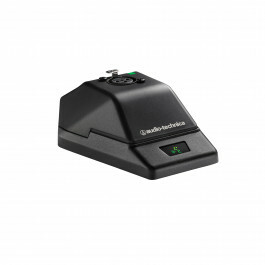 Designed for quick and easy use. 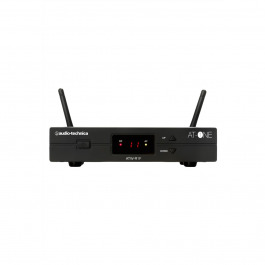 Perfect balance between price and performance, the AT-One is ideal for those looking for reliable results ..
Wireless rigs are a great addition to your gigging setup. 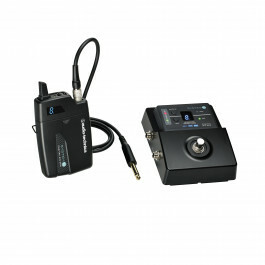 By cutting out wires you can free yourself up to move around, reduce stage clutt..